Motorola is bringing back its legendary Moto Razr phone in new packaging. 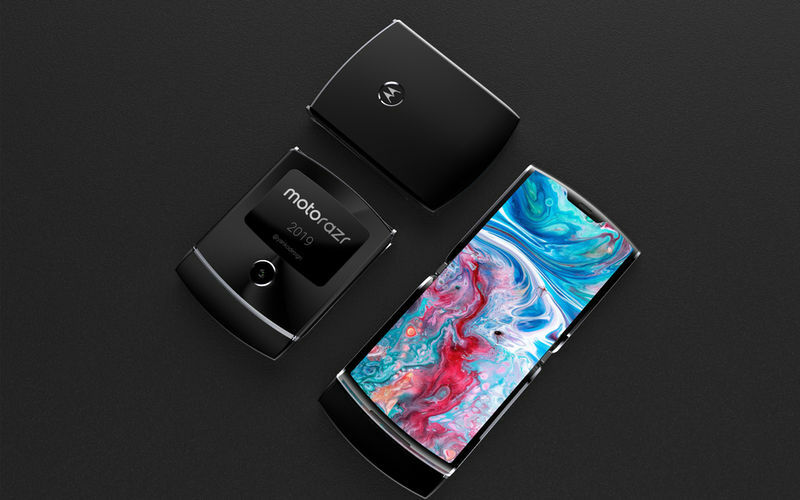 Following the trend of foldable phones, the Lenovo-owned company is expected to launch the Motorola Razr foldable smartphone this year. 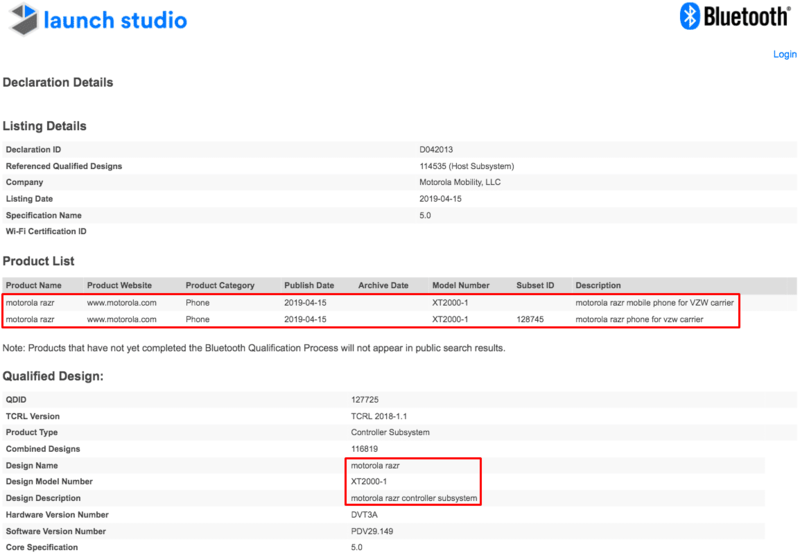 The phone has already been spotted on the Bluetooth certification website and is likely to come with Bluetooth 5.0 technology. 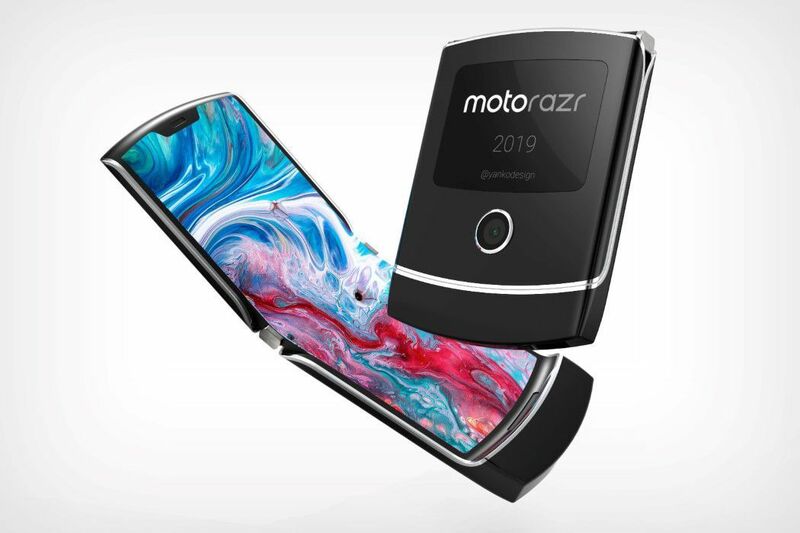 The foldable version of Moto Razr will purportedly be a combination of its classic hinged design. The phone will be competing with the already available foldable phones like Huawei’s Mate X and Samsung’s Galaxy Fold. Thanks to the leaks and rumors, we have some information about the next-gen Moto Razr. Some of the recently posted high-resolution renders hint at the flip phone design with OLED display covering the length of the phone. Although the phone will still have the hinge as the classic Moto Razr, it will not interfere with the screen when the handset is in open position. The phone will have a comprehensive screen bearing a widescreen aspect ratio for unhindered viewing experience. It will also feature a notch housing the front camera and earpiece. The upcoming phone is also expected to feature a rear-mounted fingerprint sensor. Software-wise, the phone is tipped to display up to six Quick Settings tiles in a drop-down format. To recall, the classic Moto Razr had an external display which will be retained in the new version. The external display on Moto Razr foldable phone will show when Google Assistant processes the voice command. Under the hood, the Moto Razr is expected to come powered by a Qualcomm Snapdragon 710 processor clubbed with 4GB of RAM and 64GB of storage. It is likely to launch in two variants, wherein the top-end model will have 6GB of RAM and 128GB of inbuilt storage. A 2,730mAh battery may back the device. Concerning the price, the Moto Razr is expected to launch at $1,500 (approx. Rs 1,02,750). It may launch globally in the mid-2019. 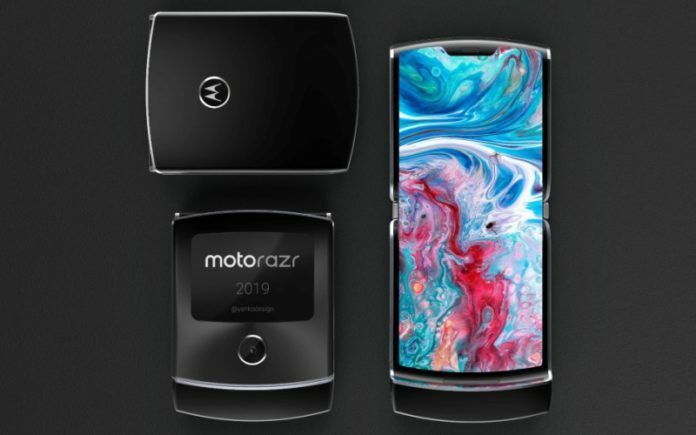 The Motorola Razr XT2000-1 listing on the Bluetooth Launch Studio website confirms the Lenovo-owned smartphone maker’s first foldable smartphone will indeed carry the Razr moniker. Just as expected, the device will be available exclusively via Verizon Wireless in the US. It remains to be seen if the foldable Razr smartphone will be launched in markets outside the US. Motorola’s upcoming foldable smartphone is expected to run on Qualcomm’s Snapdragon 710 octa-core processor with an Adreno 616 GPU. Thanks to the mid-range chipset, the foldable Motorola Razr will be priced lower than other foldable smartphones launched so far. According to The Wall Street Journal, the Motorola Razr will start at $1,500 (INR 1,03,900 approx.). That’s significantly lower than the starting price of foldable smartphones from Samsung and Huawei. In terms of design, the Motorola foldable smartphone will have a vertically folding primary display and a secondary display on the outside. The secondary display can apparently be used as a trackpad for Google Chrome and will also provide limited access to Quick Settings tiles and camera controls. While the size of the closed display hasn’t been confirmed yet, the primary display is expected to measure 6.2-inches diagonally with 876 x 2142 resolution.